Today marks a sad day as we reach the closure point on our Bollywood Meets Scotland series. If you had mentioned to me at the start of this year that I would end up blogging about the connection between Bollywood and India, I would have been somewhat doubtful to say the least; predominantly because I had never even realised that any Bollywood films had been filmed in Scotland. However, fortunately I have now been enlightened, and I have been thoroughly interested to discover just how many a Bollywood movie has been filmed here and the wide array of locations that have been featured. However, before we bid adieu to this blogging series, there is still one important stop to make: Birmingham. Ok, so geographically we are all well aware that Birmingham is not a part of Scotland. However, considering the increasing popularity towards filming a Bollywood movie in Britain’s second city, there is no reason why a Bollywood adventure in Scotland cannot turn into a Bollywood adventure in the UK. 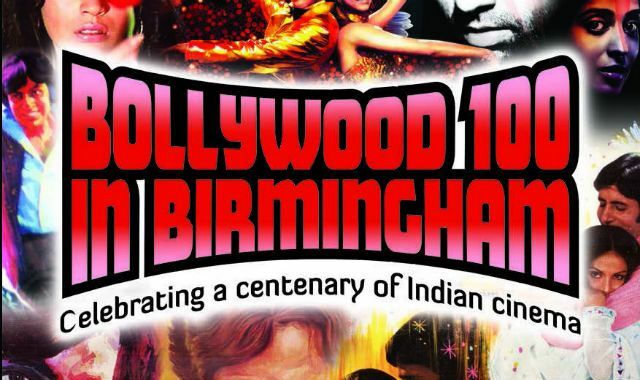 In 2013, Birmingham even celebrated the 100th year anniversary of the Indian movie industry through hosting a wide range of Bollywood themed activities from live music, dance and entertainment, such as “Bollywood’s Got Talent” to functions which included the attendance of famous Bollywood royalty such as Zeenat Aman. With classic Bollywood movies being shown during the month-long festival, it would be inconceivable to consider leaving Birmingham out of all the fun. Prior to last year’s festival, less than 12 films a year used Birmingham as a backdrop but to that ignorant likes of me, that was a much higher number than I had anticipated. One of those dozen films which Birmingham squeezed its way into (it even held the premiere) was the recent Yamla Pagla Deewana 2, a UK-based 2013 action comedy sequel to Yamla Pagla Deewana which focused on the trials and tribulations a married Indian man from Canada experienced when searching for the brother and father in India he had lost contact with. Although not setting the Bollywood Box Office on fire, Yamla Pagla Deewana 2 did succeed in generating £2.5 million for Birmingham’s local economy which only goes to reflect the positive benefits of film tourism. This is particularly true when it is considered how the likes of big stars like Dharmendra have now visited Birmingham, putting it on the map for their loyal fans. Happened to have watched Yamla Pagla Deewana 2? Well, Birmingham featured extensively in the movie and some iconic Birmingham sights to keep an eye out for include the Gatecrasher Night Club, the Rotunda Apartments and the NEC Birmingham. Another recent movie to feature Birmingham was Tezz, a 2012 action movie featuring a rather darker plot with a man hiding a bomb on a train in order to avenge the wrong that had been done to him in his past. Birmingham’s St Phillips Cathedral played a part in the action as did Victoria Square where the ransom money was even dropped. A particular link that can be found between Birmingham and Bollywood is the food series “From Birmingham to Bombay” which followed the renowned head chef Alan Coxon as he discovered how the 5 favourite UK curries, cooked by the best Anglo-Indian chefs, matched up against their authentic Indian counterparts to see just how they compared. Filmed in both the UK and India, if you like curry, spices, food history, Indian food, beautiful scenery and a captivating knowledgeable narrative; this is one for your viewing. As a disclaimer, just remember to have some food at hand because the odds are favourable that you will begin to feel a bit peckish! Make sure to check out the whole series on Youtube: https://www.youtube.com/watch?v=E6afkSPLHc0. Not to name-drop, but also look out for the credits on Episode 1 where a certain serviced apartments firm makes a sneaky appearance…. One final link that reflects just how intertwined Birmingham and Bollywood is that Birmingham was the first UK city to open up a Bollywood Academy which teaches vocals, acting, singing and dancing from expert teachers who are well renowned in the UK and India alike for their Bollywood based talent. As a result of this academy, the awareness of Bollywood themed Performance Arts in the UK can only be increased and enables further opportunities for the industry. Alas, that brings us to the final stop on our Bollywood venture through Scotland into Birmingham. While the story may be over, your journey can only just begin if you choose to follow the action, music, dancing and romance in the movies and live it out for yourself. See where all the famous stars acted out those iconic moments in some of the UK’s favourite and most beloved cities that are full of history, culture, entertainment and beautiful landscape. The whole way throughout your journey, The Spires can accommodate you and with apartments that come with fully equipped kitchens, spacious lounges and comfy bedrooms, we can cater for the whole family. So what are you waiting for? Engage in a little bit of Bollywood magic and follow in the paths of the stars. Make sure to share those movie-ready selfies with us! After acting as a backdrop to the action depicted in Hollywood blockbusters like Cloud Atlas and World War Z, it is no surprise that Glasgow has snuck its way into the Bollywood movie scene too. For instance, whilst Glaswegian streets have been burnt up by the fast-paced car stunts featured in the likes of Fast & Furious 6, they have also witnessed exhilarating motorbike races and bus chases as seen in Tezz and Kick. In fact, Kick was filmed last year (2013) in Glasgow reflecting how Glasgow is definitely on the hot list in terms of filming locations for both Hollywood and Bollywood. Two of the biggest Bollywood movies that have heavily featured Glasgow are “Kyo Kii…Main Jhuth Nahin Bolt” and “Kuch Khatti Kuch Meethi”. “Kyo Kii…Main Jhuth Nahin Bolt” is a 2001 movie directed by Dawid Dhawan which in English translates as “Because I Don’t Lie”. Therefore, if you liked Jim Carey’s “Liar, Liar”, make sure to check out “Kyo Kii…Main Jhuth Nahin Bolt” because not only is it a Bollywood classic that will have you chuckling away, but it also was indeed inspired by the Hollywood classic with similarities between the two. Seen the movie and want to see in person the sites filmed in them? Well, “Kyo Kii…Main Jhuth Nahin Bolt” heavily featured Glasgow as a backdrop with filming taking place at many an iconic Glaswegian attraction, including the Gallery of Modern Art & Royal Exchange Square; Argyle Street; Buchanan Street; Princes Square; People’s Palace and Winter Gardens; Clyde Auditorium; Crowne Plaza Glasgow; Kelingrove Park and Bells Bridge. Another Hollywood classic that was the inspiration for a Bollywood hit was everyone’s favourite childhood film, “The Parent Trap” which fuelled the creation of “Kuch Khatti Kuch Meethi”, or in English translation, “Something Sour, Something Sweet”; a 2001 movie directed by Rahul Rawail. In Glasgow, the lead characters found sanctuary at the Glasgow Cathedral & Glasgow Necropolis as well as met at Glasgow Prestwick Airport. In a very iconic moment, Buchanan Street was also featured in a sequence which entailed the lead characters dancing with kilted musicians (of course!). The renowned Glaswegian shopping locations of Buchanan Street, Princes Square and George Square also can be spotted in the likes of “Pyaar Ishq aur Mohabbat” (2001) and “Yeh Hai Jalwa” (2002). 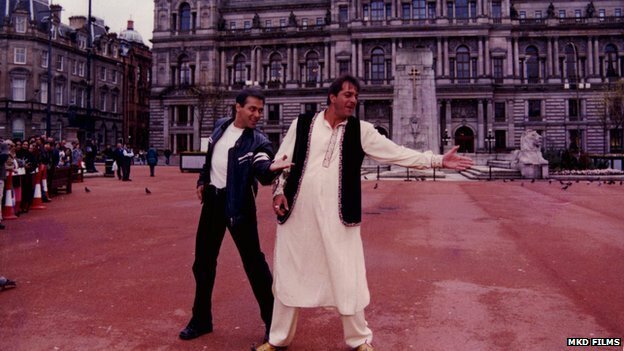 In “Yeh Hai Jalwa”, a bhangra routine was even filmed in George Square which included none other than the famous Bollywood actor Salmon Khan! Therefore, it can be clearly evident how Glasgow is a prime location to live out your own personal Bollywood adventure. The Spires has a convenient city centre location meaning you are never far from the sites and attractions; enabling a safe and efficient trip. Glasgow is only a three-hour journey from Aberdeen making the continuance of a Bollywood journey between the two even easier and quicker. Like Aberdeen, Glasgow is well-stocked with high-quality Indian cuisine if you want to add to the authenticity of your trip with Cafe India Tapas, Himalaya Restuarant, Koolba and Charcoals Cafe all featuring in the Top 20 restaurants out of Glasgow’s 1,800! So what are you waiting for? Watch the movies and go live out the action with the help of The Spires this summer! Do as Sunil Shetty and Kajol did in “Kuch Khatti Kuch Meethi” and explore Glasgow from the best viewpoint; from the deck of an open top bus! Seeing as The Spires Serviced Apartments is based in Aberdeen, we thought it made a rather fitting start to begin our Bollywood series by focusing on the connection between our favourite Granite City and Bollywood. It was a rather surprising fact to us here at The Spires that not only have numerous Bollywood movies been filmed in Scotland, but one was actually filmed in our very own city of Aberdeen. We tell no lies, Aberdeen city centre briefly featured in Main Solah Baras Ki, a 1998 film directed by Dev Anand about a director looking for the perfect star for his feature movie leading him to embark on a romantic adventure that takes him all the way to Scotland; and Aberdeen! Sites featured in the movie include everyone’s favourite high street, Union Street (points if you recognised it in the photo posted below! ), as well as Back Wynd Stairs, Union Bridge and St. Nicholas Centre. Main Solah Baras Ki also was filmed at Loch Ness; Urquhart Castle and Drumnadrochit: Nessieland. Further filming also took place at the Inverness castle/esplanade where famous Bollywood actress Sabrina, the leading lady, sang on a bench and on the high street. Another Bollywood movie to feature Inverness and Loch Ness was the contemporary thriller Three: Love Lies Betrayal which filmed at similar sites as Main Solah Baras Ki well as Inverness Town House. Jacobite cruises also made an appearance with the main characters sailing across the lake. If you fancy living some of the action and romance from Main Solah Baras Ki, why not make a trip out of it! Stay with us, The Spires Serviced Apartments, for the Aberdeen venture of the journey and we can help you source accommodation while you carry out the Inverness leg. While you are here in Aberdeen, why not take a one-hour daytrip to Montrose and its coast which was featured in Cape Karma, a 2007 Bollywood thriller focused on the turmoil of a men who fell in love with a married woman? The Indian Cottage and the George hotel, as well as some of the Dunninald Estate, acted as backdrops to the thrills. Similarly, take day-trips to Dundee where further action in Cape Karma unfolded. Alternatively, venture out to Edzell, where Aarzoo, a 1999 movie, used The Glenesk Lodge and Inglis Memorial Hall as the setting for the lead character’s home, played by no other than acclaimed Bollywood star; Madhuri Dixit. Whilst in Aberdeen, why not add to the Bollywood experience by sampling some of the Indian cuisine that Aberdeen has to offer? Shri Beemas Indian Restaurant Bridge of Don is rated #3 out of 517 restaurants in Aberdeen and two other Indian offerings in the top ten are Monsoona Healthy Indian cuisine (#8) and Cumin Tandoori (#10). With 40 different restaurants, there is no shortage of options! Get started on your Bollywood 2015 adventure now with The Spires Serviced Apartment. Have a Bollywood Adventure….In Scotland! Did you know that the featuring of UK locations and landmarks in films and television will lead to 20% of viewers being encouraged to discover the destination themselves? When you think of films set in Scotland that fully highlight its beautiful and unique landscape, the films that would normally come to mind may be Disney’s Brave, or some of those iconic scenes in Skyfall. However, Sunshine in Leith is not the only film to feature colourful musical and dance numbers on the streets of Scotland. It is not a connection that many are aware of, but it is true, many a Bollywood film has been set and filmed in Scotland. In fact, over 23 Bollywood films during the past two decades have utilised and captured the landmarks and landscape of Scotland to help weave their story. This has entailed many a famous Bollywood cast and crew creating iconic moments against some of Scotland’s most famous sights. For all you know, you may have bumped into famous Bollywood actors such as Salmon Khan and Shah Rukh Khan when they were in Scotland filming or you may have been an unwitting extra! It is a pertinent time to consider this connection because this year VisitScotland is capitalising on the 34,000 Indian tourists who are expected to visit Scotland this year. VisitScotland has done this by creating a campaign that will promote Scotland as the Bollywood destination; where Indian visitors can see in person the sights from their famous Bollywood films filmed in Scotland and to live their favourite character’s stories themselves. This has been achieved through the creation of a Bollywood Map which details and documents all the cities and landmarks where Bollywood films were set as well as provides helpful itineraries to help Bollywood fans make the most of their Scottish adventure. In this series of blog posts, we will look be looking at the Bollywood connection with our respective serviced apartment locations of Aberdeen, Glasgow, Birmingham and Edinburgh. We will consider the films that have used these locations as part of their story-telling and look at all the landmarks that were featured so you, our blog followers, can go watch the films if you had not already seen them, and check out the locations yourselves and put yourself in the place of the heroes and heroines. Remember to bring your selfie sticks! It will be a fascinating journey and nothing can beat seeing the movies, quite like living them. Check out the VisitScotland map here: http://www.visitscotland.com/bollywood. The fact that this week marks the completion of my first month at The Spires Serviced Apartments is exceptionally crazy; where has the time gone?! Fortunately, I am still really enjoying myself and feel quite at home now in the office; it is almost hard to imagine not working here. Last week, I continued with my email marketing databases (I now know the names of more oil & gas firms than I ever thought possible) as well as my phone calls to update the company database; I am rather worried about the phone bills I will have been accumulating. Last week was also a rather busy learning experience as I was educated in the use of Google Analytics and email marketing tools like Dotmailer. I also learnt how to alter the design of the company webpage and so am slowly accumulating even more power over the company’s online presence which can be a bit daunting, but is ultimately very fun. A task that has been particularly engaging has been the development of our new Bollywood blog series that is running in association with the VisitScotland campaign. The campaign aims to encourage people to visit Scotland to live out their own personal Bollywood adventure by visiting all the landmarks that played as backdrops to iconic Bollywood movie moments. It has been really enjoyable getting to help write the blog because I get to use a bit of creativity, and it is also really interesting seeing just how many Bollywood movies have been filmed here: including in Aberdeen! I had never even suspected a single Bollywood movie had been filmed in Scotland, let alone over 20; a little bit of trivia for you all. Consequently make sure to check out the blog here: http://www.thespires.co.uk/the-spires-blog-when-bollywood-meets-scotland.html. Hope you all enjoy the last week of February!